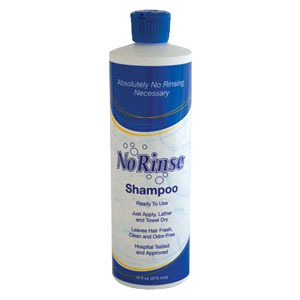 Shampoo leaves hair fresh, clean and odor-free. Soft, clean, manageable hair without water. Ready to use and no water needed. Apply, lather, towel dry, Safe, comfortable, convenient, eliminates odors. Ready to use and no water needed.